If ligaments do not heal within several weeks, they may remain chronically stretched, torn, or strained. Many people do not realize how severe or prolonged ligament pain can be. They assume that soft tissue will heal or that it can’t be that bad. While ligament pain may be confined to the injury site, it can also refer pain to distant body parts through a portion of the autonomic nervous system called the sympathetic nerves. The region that a ligament refers pain to is called a sclerotome (see figures). Ligament pain can mimic nerve impingement, cause sensations of numbness, and be the source of arthritis pain. It can be chronic, persistent, achy, burning, and weather sensitive. The primary function of ligament is to connect bone to bone. If a ligament is stretched, or torn, then too much movement between the bones may occur. This extra movement is perceived as a popping, clicking, catching, or feeling of weakness between the bones. Another reason ligaments may be weak is because there is genetic predisposition to it. For example, Ehlers Danlos is a genetic disease where people are extremely double jointed. When the ligaments are weak the muscles respond by going into spasm, in an effort to tighten the area down. Many people will try to stretch tight muscles, or strengthen weak ones, in an effort to reduce the pain. They become discouraged, however, when this approach only offers temporary relief. In order to obtain lasting relief, the underlying ligament injury must be treated first. A physical exam by a doctor experienced in ligament injuries, and testing using Musculoskeletal Ultrasound or MRI, can confirm the diagnosis. If treating ligament pain does not provide pain relief, then an electrodiagnostic study to rule out sensory or motor nerve injury is often useful. Since ligament pain will not respond to treatment if nerve is involved (just like muscle won’t respond if there is ligament injury), in chronic cases it makes sense to check for nerve involvement before trying to treat either the muscle or ligament further. At Piedmont Physical Medicine & Rehabilitation, P.A., in non-responders we typically will do just that: first check for sensory-motor nerve injury and, after any abnormality is addressed, we then move onto ligament. Once the ligament is healed, we go back and finish with any further muscle work that may be required. This is a bit of a simplification as other factors such as the sympathetic nerve, inflammation, infection, vascular disease, disk, arthritis, and mechanical problems all can come into play as well. When addressing the ligament portion of pain, exercise (which only strengthens muscle) should not be forgotten. Fortunately, strengthening exercises can take up to 20 per cent of the pressure off a joint and therefore remove some of the stress occurring at a weakened ligament. Physical therapy to stretch what’s tight and reeducate what’s inhibited is also important. Medications to reduce spasm, pain and inflammation are often used as well. 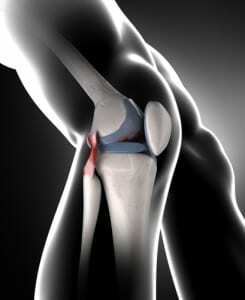 In most cases, a special injection is needed to actually repair, or re-grow the injured ligament. The medication injected is not steroid (which weakens ligament) but rather a combination of xylocaine with sodium morruhate, dextrose, or other special agents that stimulate the body’s own natural wound-healing response. Just like a scab on skin, the new ligament grows to replace what is missing. If repeated once every two weeks or so, the ligament will become 40 per cent thicker than it was before treatment. In extreme cases surgery may be needed. Since the ligaments actually thicken, this technique is often referred to as Prolotherapy (for proliferate). It can be very helpful in relieving pain, weakness, and sensations of numbness for many conditions, including neck and back pain, sports injuries, and arthritis. Moreover, since the body actually repairs the injury site, in the absence of other problems there is no reason to worry about reoccurrence. In special situations, the tendon can also become over-worked, swollen or inflamed when there is ligament injury. Tendon is responsible for attaching muscle to bone. While most of the measures already discussed are effective in relieving tendon pain, resistant cases can be effectively treated outside of the operating room with Ultrasound Guided Percutaneous Tenotomy.